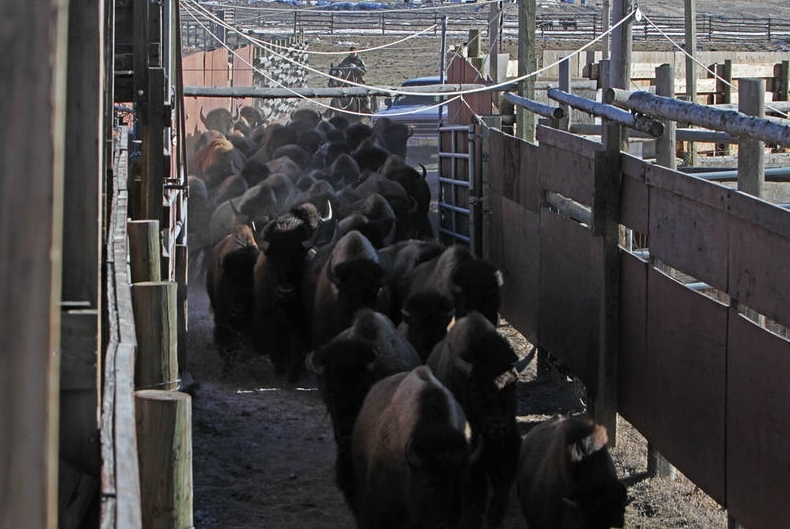 Fifty-two bison have escaped a recently converted quarantine facility inside Yellowstone National Park’s Stephens Creek bison trap. Even though Yellowstone’s proposed fifty-year quarantine plan has not yet been approved, Yellowstone initiated capture for quarantine beginning in 2016, at their Stephens Creek trap. 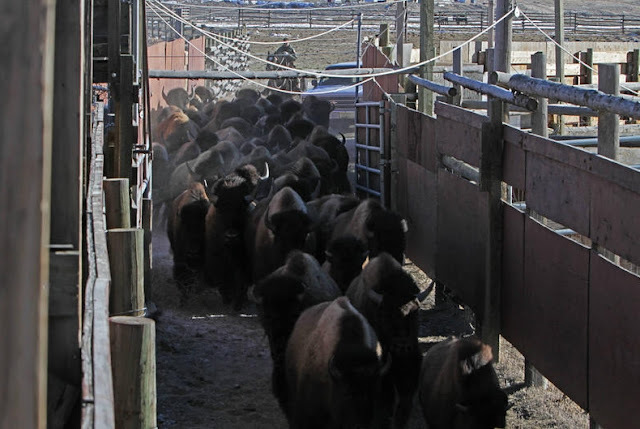 The first group of 24 buffalo have been in the quarantine pens since March 2016, while the other group of 28 buffalo have been held there since March 2017. 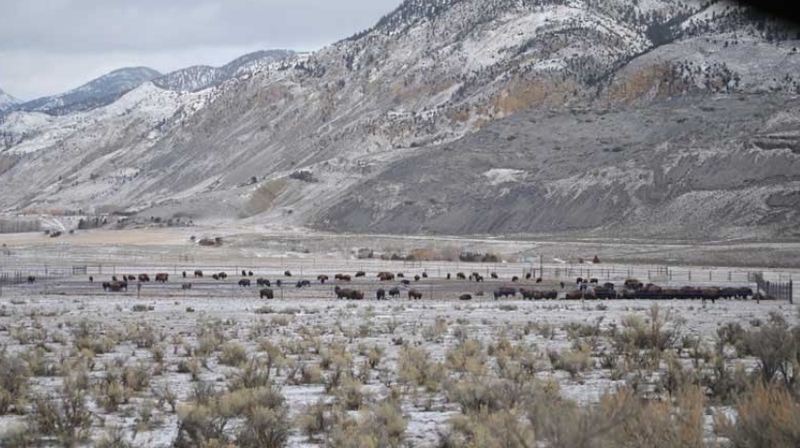 All of the female buffalo who had been part of that capture-for-quarantine were shipped to slaughter last year when Yellowstone opened the trap to begin slaughter operations. All of the buffalo who remained in the then-unapproved quarantine facility were bulls. Seven of these bulls have been shipped to slaughter or have died due to human handling. Interior Secretary Zinke claims that Yellowstone was just “days away” from sending these buffalo — all bulls — to the Fort Peck Assiniboine and Sioux Tribes. However, none of the news stories that have been released include commentary from the affected Tribes. “That’s all news to me,” McDonald said. “I didn’t know that they were getting ready, and obviously, Fort Peck didn’t either,” said Tom McDonald, Division Manager for the Confederated Salish & Kootenai Tribes’ Fish, Wildlife, Recreation, and Parks Division. 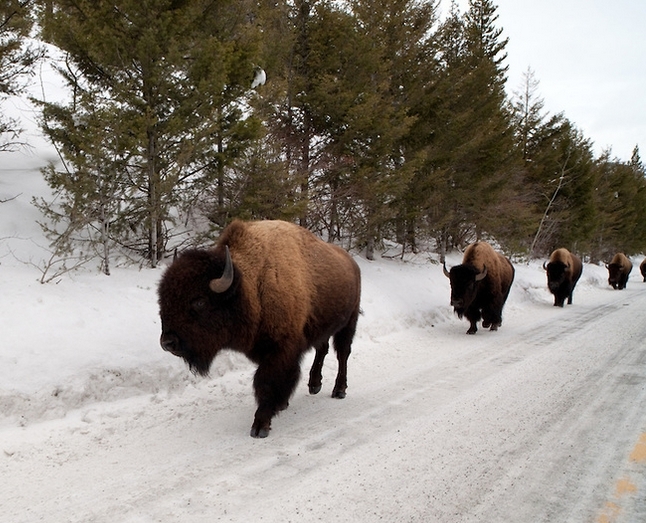 Responses to "More than 50 wild bison escape Yellowstone's slaughter trap"